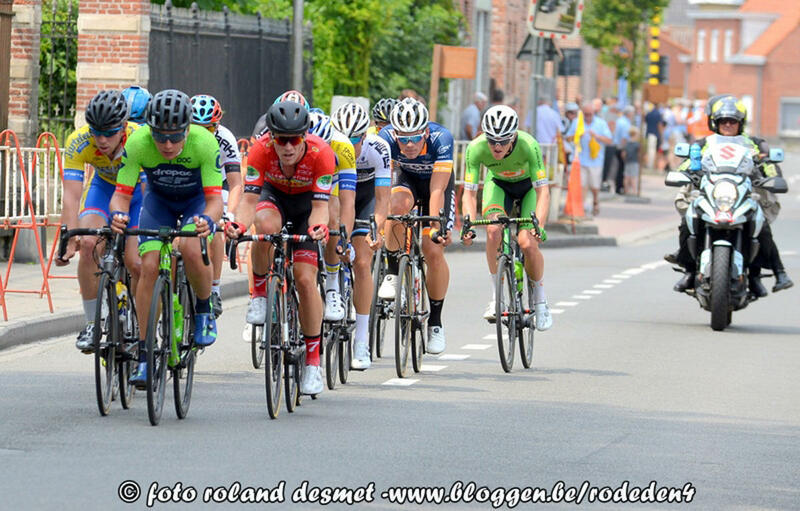 Kirill Pozdnyakov, member of Azerbaijan’s Elite road cycling team and Synergy Baku Cycling Project team, won the prestigious Dentergem stage held in Belgium. In the 169.6 kilometer long race bringing together 110 cyclists, Pozdnyakov left his opponents far behind. The athlete, who won the Championship of Azerbaijan in June this year, finished the race in 3 hours, 45 minutes and 30 seconds. The second place winner reached the finish line only 11 seconds later. The Dentergem stage, which has been being held since 1954, is considered to be one of the most prestigious races of Belgium. The strongest cyclists of the world have been participating in the race throughout the years. Kirill Pozdnyakov is an Azerbaijani professional racing cyclist, who started his career in Synergy Baku Cycling Project team in 2013. For the next two years, he was a member of Russia's RusVelo team, but rejoined Synergy Baku in 2016. The cyclist was the winner of the Tour of China and the third place winner in the Tour de Taiwan in 2013. Three years later, Pozdnyakov won the stage 3 of Sibiu Cycling Tour, and became the first in the Grand Prix Alanya this year.